Microneedling, also known as Collagen Induction Therapy, is a recent innovation in aesthetic medicine that dramatically improves skin texture and tone. During the procedure, tiny needles are used to create controlled micro-injuries to the skin in order to trigger the skin to produce higher levels of collagen and elastin. The skin’s repair process results in a stronger dermis, smoothing wrinkles and improving skin texture. 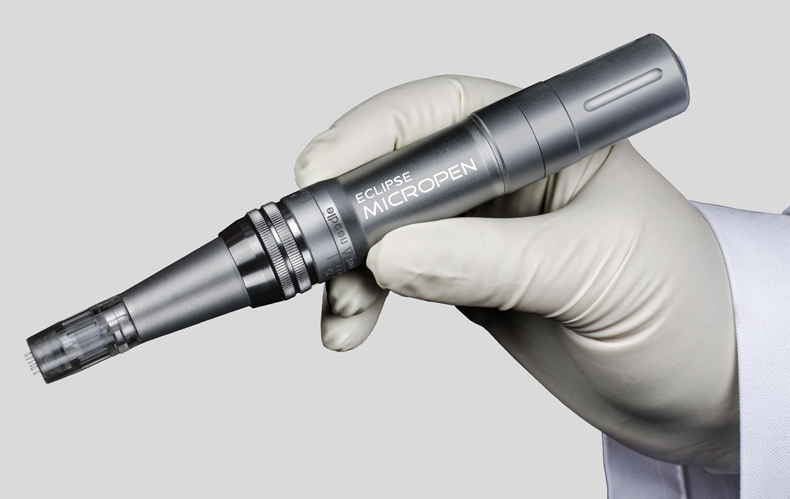 Inner Image offers microneedling treatment with SkinPen®, the first device of its type to receive approval from the U.S. Food and Drug Administration. With 14 medical-grade stainless steel needles, SkinPen is more efficient than earlier microneedling devices. The SkinPen device creates painless micro-injuries and channels over the entire skin surface of the face and neck. This stimulates healing processes in the skin that increase blood flow, create new tissue and stimulate the production of collagen and elastin, both of which are essential to keeping your skin looking smooth and supple. As the body ages, there is decrease in the production of these vital natural firming elements. The depth at which the SkinPen needles penetrate is customized for each facial area. This makes it possible to treat even the most delicate areas of the face, including the delicate skin around the eyes and the mouth – where the first signs of aging skin typically appear. SkinPen does not cause the changes in skin pigmentation that can result other aesthetic energy devices and is an excellent choice for any skin tone. What Can I Expect from Treatment with SkinPen? SkinPen delivers real-world, visible results with a procedure that is gentle and easily tolerated. A numbing solution may be applied to the area for comfort, with the treatment requiring only about 30 to 60 minutes. During treatment, patients feel a slight sensation of the vibration of the skin pen. After treatment, your skin will be slightly pink. That may be followed in subsequent days by some amount of dryness, itching, peeling, etc. Such symptoms resolve quickly; your physician can tell you more about what to expect in your case and may something you can apply to prevent dryness. At Inner Image, we optimize the SkinPen treatment by selecting a combination of therapeutic “boosts” applied to the skin during treatment. We also utilize Platelet Rich Plasma (PRP), which is widely recognized for providing highly-effective rejuvenation properties. As the SkinPen needles create micro-channels into the skin, it’s the perfect opportunity to infuse pharmaceutical grade nutrients and growth factors directly into deeper levels of the skin where corrective and healing processes begin. The result is increased collagen and elastin production, reduced redness and inflammation, brighter and more even-toned complexion.